However, here we have a review of a ‘proper’ musical computer the Roland TR808, not the first ‘drum machine’, but certainly the most influential. 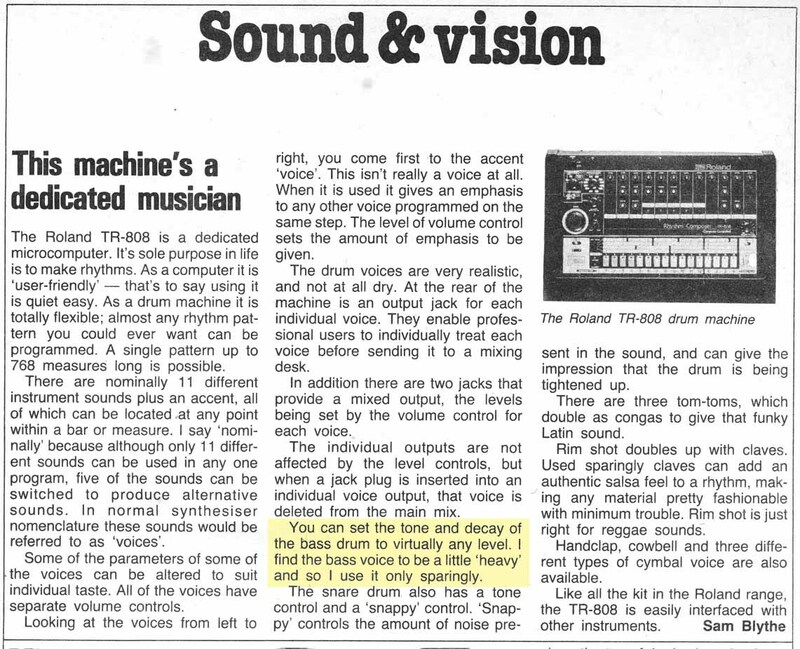 At the time of release in 1982 the machine was criticised for the ‘heavy’ bass drum sound [see the review below], but by the late eighties, with the emergence of Acid House and techno, the TR808 and it’s little brother the TB303 bassline became legendary – that very ‘heavy’ bass sound being precisely the feature which made the machine so desirable. In fact the 808 is still highly sought-after even today, changing hands for prices in excess of it’s (not inconsiderable) original 1982 price, something that cannot be said for much of the technology featured on this blog. This entry was posted in music, reviews by retrogeek. Bookmark the permalink.